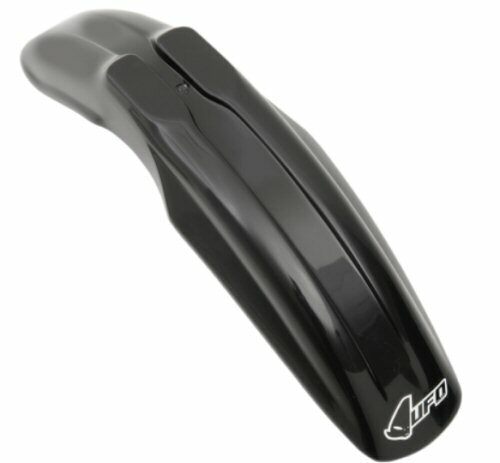 A neat alternative look fender from UFO of Italy. Fender is a universal type, so you'll have to drill 4 holes to mount. Note that this fender is not shouldered where it meets the triple tree like the stock unit, so more of the lower triple tree will be visible when this fender is mounted.